Revising KORA: Correctly interpreting the “third business day” language of K.S.A. 45-218(d) | Kautsch Law, L.L.C. 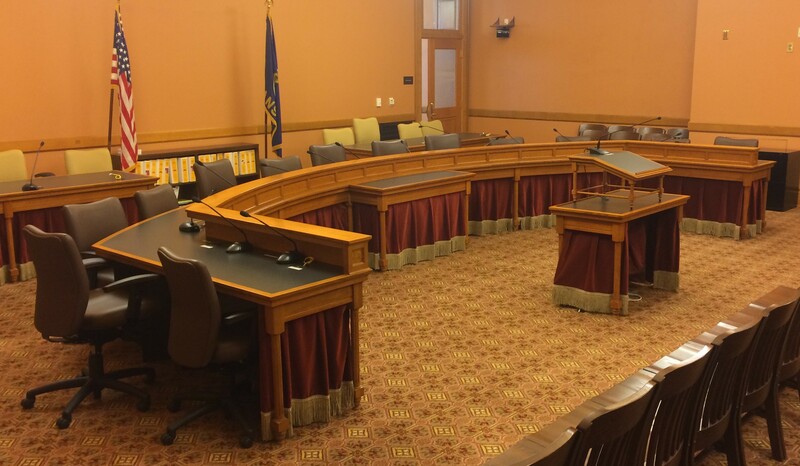 Evidence is accumulating that public agencies in Kansas are not responding to records requests within the time required by K.S.A. 45-218(d) of the Kansas Open Records Act (KROA). As a result, agencies often produce records only belatedly, if all. As a consequence, those requesting records are frustrated, and the agencies avoid being transparent in the way that KORA requires. This problem may be addressed in different ways. First, public agencies need more training in how to comply with KORA. Second, the Attorney General’s office, which has responsibility for enforcing KORA that was even recently expanded, needs to strongly advise the agencies to give records requesters a timely and definite response as required by the law. The AG’s office should stand firm, as it did years ago, that the agencies must give requesters a definite response within three business days. Third, the Legislature may want to consider amending KORA to further emphasize agencies’ obligations to respond in a timely manner. The AG’s office and organizations such as the Kansas Sunshine Coalition for Open Government offer training to public officials in how to comply with KORA. The training sessions should place great emphasis on K.S.A. 45-218(d) and its requirement for a timely and definite response to a records request. The Guide also needs to point out, in accordance with K.S.A. 45-218(d), that, if a public agency decides it cannot produce a requested record within three business days, it not only must explain the delay in detail, but it must also state “the place and earliest time and date that the record will be available for inspection.” However, page 17 of the Guide does not specify that an agency is required to set a deadline for its production of a requested record. Instead, the Guide says that “[i]f there is a delay, the record custodian should provide a time estimate for you.” (Emphasis added.) The word “should” is merely suggestive of the agency’s duty. To be consistent with the letter and spirit of KORA, the Guide needs to say the agency “must” be specific about when the requester can have access to the record. In light of the Ag’s opinion regarding K.S.A. 45-218(d), the AG’s office should be telling public agencies and citizens alike that every agency has three business days to grant or deny a request or, if the record can’t be made immediately available, explain the delay in detail and specify when the agency will produce it. Moreover, the Guide needs to be consistent with a Kansas Supreme Court decision, in which the Court awarded attorney fees to a newspaper when the agency subject to the newspaper’s KORA request violated K.S.A. 45-218(d). Fees were ordered in part because the agency failed to produce a “prompt response to records request.” Telegram Pub. Co., Inc. v. Kansas Dept. of Transp., 275 Kan. 779, 779 (2003). In K.S.A. 45-218(d), KORA plainly requires that public agencies give a records requester a definite response within three business days after receiving the request. Failure to do so is a violation of the law. The requirement for a definite response is clear on its face. Training of public agencies in how to perform their duty under K.S.A. 45-218(d), along with enforcement of the law by the AG’s office, would produce compliance. Records requesters then would not be frustrated by indefinite and belated responses by agencies, and the agencies would not avoid transparency as required by KORA. With a re-emphasis on enforcement, K.S.A. 45-218(d) is perfectly clear and does not need to be amended by the Legislature. However, if the Legislature were to consider strengthening K.S.A. 45-218(d), it might look to how other states such as Texas state the duty of agencies to respond to records requests. In Texas, if the records cannot be produced at the time requested, the custodian sends to the requester a letter stating why they cannot be produced, and sets forth “a date and hour within a reasonable time when the information will be available for inspection or duplication.” Texas Public Information Act, Sec. 552.221(c). The Texas law goes on to afford additional assurances for requesters, providing that if the information is not produced within 10 days, the custodian writes another letter again setting “a date and hour within a reasonable time when the information will be available for inspection or duplication.” Texas Public Information Act, Sec. 552.221(d). Although an amendment to K.S.A. 45-218(d) could clarify when agencies must produce records in response to KORA requests, a welcome step would be for the Attorney General’s office to revise its “Citizen’s Guide of KOMA/KORA” so that agencies’ statutory obligations are faithfully represented. Then, records requesters would be served by public agencies in the way that the Legislature intended.